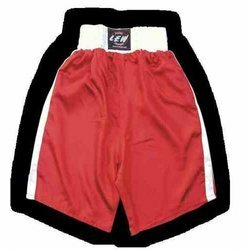 We are well known manufacturers, exporters and importers of the finest quality Boxing Shorts. It is ideal for any training session or fight and available in various sizes, models as per the clients’ requirements. 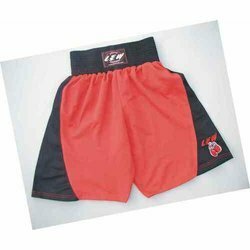 Our ranges of shorts are fabricated using top quality materials and latest technology. These products are designed and developed in line with the prevailing trend and standards of the industry. Clients can avail these from us reasonable prices. 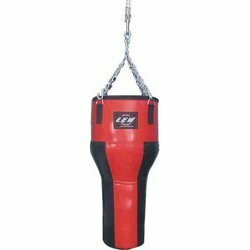 We are counted amongst the foremost manufacturers, exporters and importers of Punching Bag- Angled. These are well known for its features like reliable, quality tested and durability and available in various sizes. 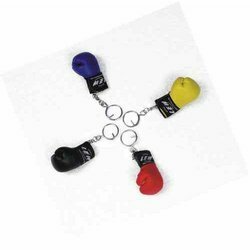 We offer our ranges of products are highly preferred in most of the boxing training institutes and other boxing tournaments. Our respected clients can avail these from us at reasonable prices in the market. We are instrumental in manufacturing, importing and exporting an assorted range of Hook and Jab Pad- Training. These are fabricated using top quality materials and advanced technology by industry experts. Our range is properly as per the requirements of our customers. These products are designed and developed in line with the prevailing trend and standards of the industry. 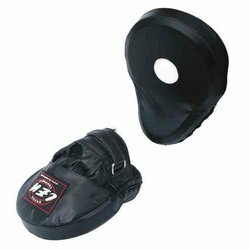 We hold expertise in manufacturing, importing and exporting flawless range of Head Guard- Competition. 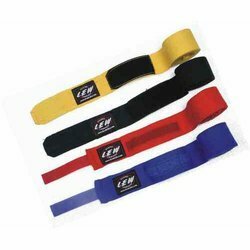 These are used to help protect the face and ears from punches and kicks and appreciated for its features like durability and high quality. These products are also checked stringently by quality analysts to ensure that defect free and best quality products to our honoured clients. With the assistance of skilled and dedicated professionals we manufacture and export wide range of Hook and Jab pad- Competition. Our products are widely acclaimed among the clients for its optimum quality and durability. Quality being the main concern, we quality assured our entire product range and delivers in time our clients premises. They can be easily placed to anywhere and requires minimum maintenance. 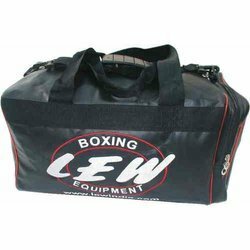 We are counted amongst the well known names in the industry, offering qualitative range of Boxing Kit Bag. 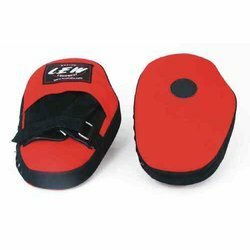 Our bags are spacious and durable in nature and are used to carry required boxing accessories that are utilized during boxing. Our products are finely stitched using advanced methods and tools thereby ensuring longevity and durability. Additionally, clients can avail the entire product range at affordable rates. 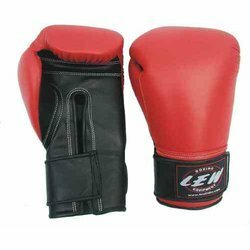 We are counted among the prominent names in the industry, engaged in manufacturing, exporting and trading wide range of Boxing Gloves Synthetic. 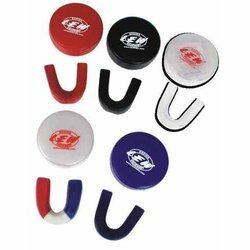 Clients can avail the entire product range in different colors and designs and are acclaimed for its tear resistance and durability. Quality being the sole concern, therefore we never compromise on quality parameters. We source the entire fabric and resources from the renowned and certified vendors in the industry. We hold expertise in manufacturing and trading comprehensive range of Head Guard- Training. Our products are quality tested on well defined parameters under the strict supervision of quality controllers. Our spacious and technically advanced warehouses ensure that the entire product range is safely delivered at our clients end. 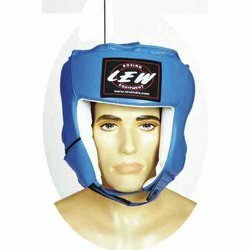 These products are used during sports activities such as boxing for safely securing the head from harmful injuries. 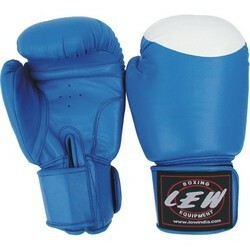 We hold expertise in manufacturing, exporting and trading wide array of Boxing Gloves- Competition. Our products are widely acclaimed among the clients for easy operations and immaculate quality. These products are fabricated sing quality assured fabric sourced from reliable and certified vendors of the industry, thereby ensuring is sweat resistance and durability. Additionally, clients can avail the entire product range at affordable rates. 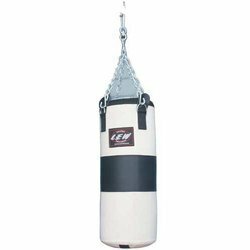 Backed by the team of experienced professionals, we are into manufacturing, trading and exporting comprehensive range of Punching Bag- Canvas. Our products are available in different sizes and designs and can be customized as per the preference. These products are skin friendly in nature and can be easily maintained. Our manufacturing unit is well equipped with advanced technologies and requisite facilities that assist us to develop flawless range of products for our clients. 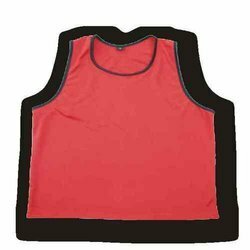 Quality being the main concern, we manufacture and export comprehensive range of Boxing Vest. Our entire product range is widely acknowledged among the clients for its optimum quality and durability. 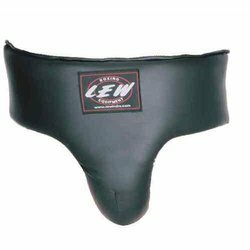 These products are comfortable and ensure easy boxing to the boxers. Our manufacturing department is fabricated with advanced technologies and methods that assist us to develop flawless range of products for our discerning clients. 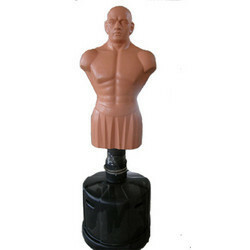 We are engaged in manufacturing, exporting qualitative range of Boxing Dummy, that are acclaimed for its optimum quality and durability. Our entire products are available in different specific designs and patterns and suits the diverse requirements of our esteemed clients. These products are designed under the strict supervision of experienced designers, who have years of experience in their respective domain. Additionally, clients can avail the entire product range at leading industrial rates. 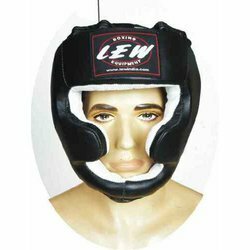 Looking for LEW Boxing Equipment ?